Surprise. Anger. Anxiety. Fear. Panic. Worry. Rage. Ego Deflation. Failure. What do you do? How do you keep going? Where do you go on Monday morning? Who are you? What will happen to your family? HOW WILL YOU MAKE IT????? A layoff can be absolutely devastating. However, if you realize that your life is NOT defined by who you work for or what you DO, then a layoff can be the start of an amazing journey to discovering your authentic self. I implore everyone to watch Lemonade by Eric Prolux. Listen to former advertising execs telling of their experiences of getting laid off and the paths their lives took as a result. Watch the trailer below or view the full movie by visiting here. There will be stumbling blocks in our lives but I believe those challenges are there to prepare us for even bigger blessings. 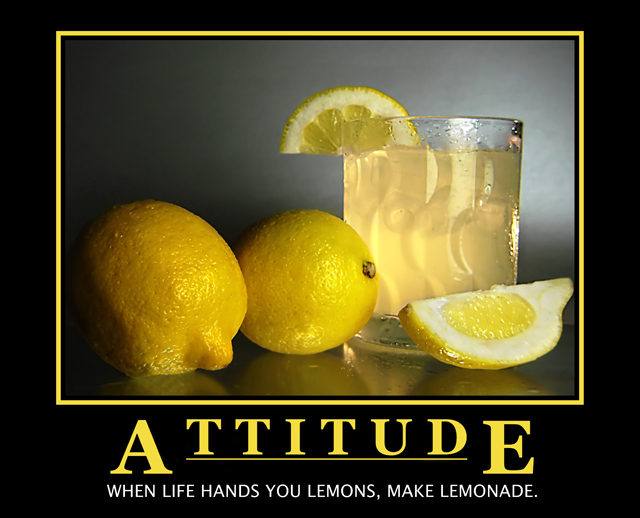 Let’s make some lemonade!